Hardwick Clothes: America’s Oldest Clothing Manufacturer @mfgday #MFGDay18 « Adafruit Industries – Makers, hackers, artists, designers and engineers! 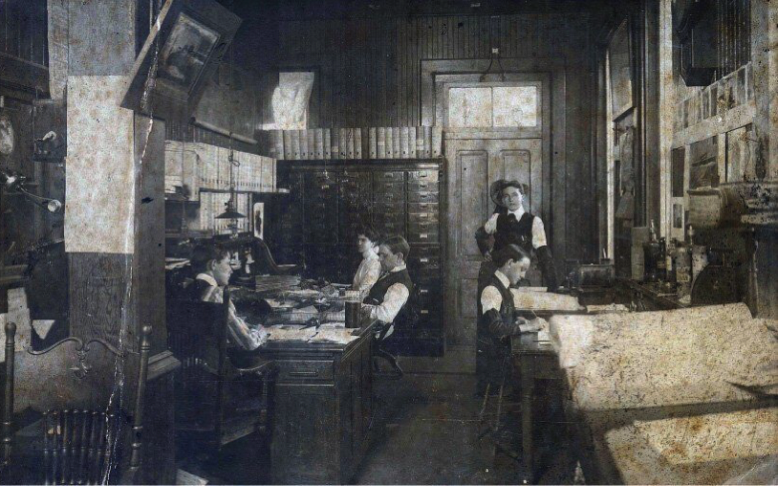 Over the years, the company added modern machinery, and eventually Cleveland Woolen Mills evolved into a manufacturing plant, as well as a mill. In 1925, the name was changed to Hardwick Woolen Mills. By the 1920s Hardwick Woolen Mills had expanded its operations, weaving the wool yarn and tailoring finished garments in the same factory. The integrated operation reflected the company motto: “From the sheep’s back to the clothing rack.” Among the many garments produced were suits, overcoats, knickers and boys’ wear. Hardwick Mills survived the Great Depression as a cottage industry, with much of the sewing done in the homes of workers. Despite the poor economy, Hardwick Mills continued to grow during the 1930s. After the New Deal introduced labor laws regulating working hours, production moved back into the factory. For the first half of the 20th century, Hardwick Mills was one of the largest manufacturers of wool fabric and men’s clothing in the world. During WWII, Hardwick Mills manufactured uniforms for the military. After the war, the demand for wool decreased with the introduction of synthetic fabrics. In the 1950s, Hardwick Mills sold its woolen operations to focus on the men’s tailored clothing market. During this time, the company rebranded itself as Hardwick Clothes, Inc. The company also ended its status as a private label and, for the first time, began to advertise. Hardwick soon became a leader in the market for blazers, boasting one of the largest in-stock blazer programs in the industry. In 1974, Hardwick Clothes moved from its original factory on Church Street to a modern 175,000-sq.-ft. manufacturing plant on the north side of Cleveland. The new facility allowed the company to modernize its equipment to remain competitive against overseas competition. In the 21st century Hardwick expanded its base of specialty-store retailers with catalog and department store accounts. Its domestic clothing production has enabled the company to land contracts with organizations as diverse as the U.S. military and Major League Baseball umpires.